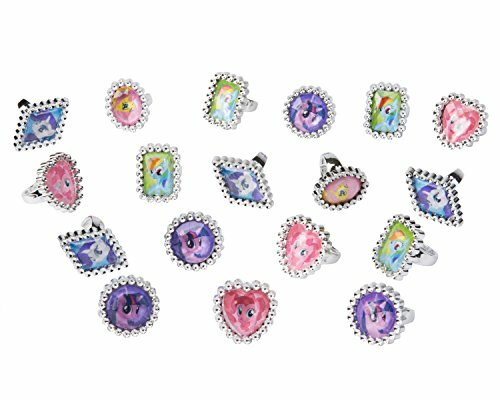 My Little Pony Friendship Jewel Rings 18 Count.For anyone ages 3 years of age and up.Each ring is sliver and features one of your favorite My Little Pony characters.These 18 rings have assorted pictures of diferent My Little Ponies and are perfect as party favors. 12 My Little Pony licensed rings to decorate your cupcakes. 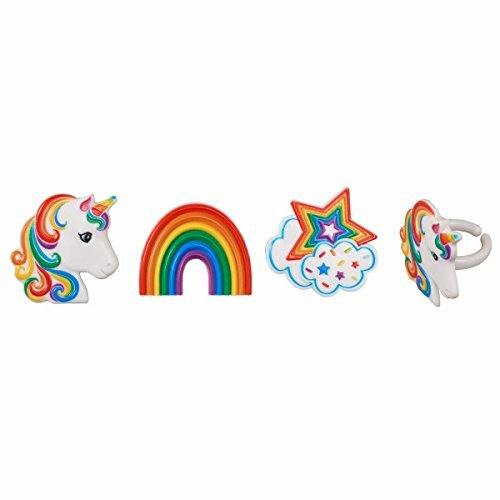 Package of 24 assorted rainbow and unicorn rings. 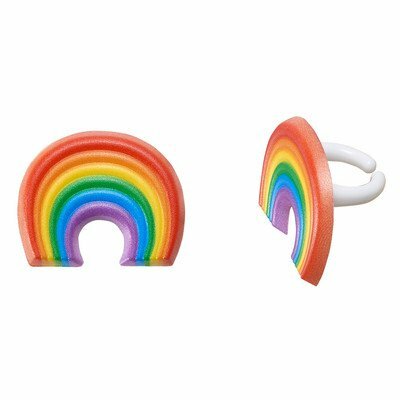 Package of 24 plastic cupcake topper rings. 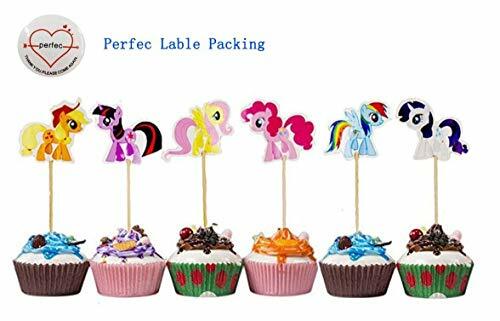 Size: 1 1/4"H x 1 1/2"W.
24 My Little Pony Licensed rings to decorate your cupcakes. 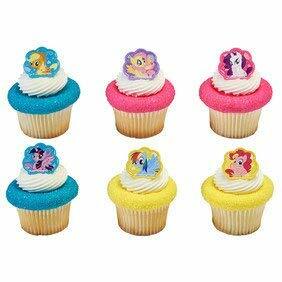 My Little Pony,Cutie Beauty,Cupcake Ring,Plastic,DecoPac, Multi-Color,12 in set.